Create your change control process with Zenkit's Kanban feature! Nobody likes a creep: be it a person acting distastefully around you or an unconstrained expansion in a project’s scope, we don’t want it hanging around. 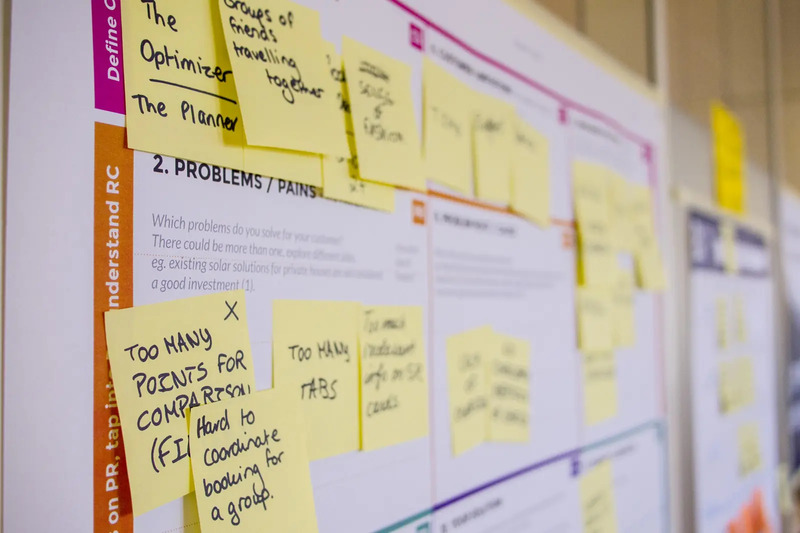 Which is why in this article we’ll share some tips on how you can prevent scope creep from taking over your project, as well as show you how you can use a Kanban board to create the perfect change control process to help tackle it. It is essentially any last minute, sometimes unavoidable changes that occur usually when a project’s scope isn’t properly defined or when the project manager hasn’t diligently implemented a change control process. Scope creep can have detrimental effects on your project. Not only can it demand additional time, budget, and resources, but it is can also result in a different project outcome than what was originally envisioned. Oh, and it can also be a total buzzkill on team morale. Every project manager wants to avoid scope creep, but unfortunately, sometimes it’s something that naturally happens. With that being said, it doesn’t mean that it’s completely unmanageable. Good news is that there are ways to overcome it. Using a project management tool that visualizes the schedule and allows you to share it will provide a concrete guide for anyone involved in the project’s execution. This can ensure that everyone is on the same page and is working towards the same goal. It will also make any changes visible to team members. For instance, when creating additional tasks on Zenkit, you can send notifications to team members so that they know instantly when a change has been made. Understanding the purpose of the project as well as the expectations that come with it are essential to avoiding scope creep. Best practice is to record the project’s requirements clearly and thoroughly, and communicate them to the project team whenever there is doubt. You must also have clear and consistent communication with clients and stakeholders throughout the project to ensure nothing goes amiss. As a project manager, and because it is your responsibility to create and manage the schedule, you need to be conscious of how even the smallest of changes can impact the whole delivery process. Make sure the project team, clients, and stakeholders are aware of this too. Everyone involved in the project must be aware of the effects that implementing a change on their own accord without following a set process can have on the entire project. When it comes to project management, change is inevitable, and the best way to confront it is to be prepared for it. Any good project manager will have some sort of process in place that will manage any unsuspecting adjustments that may come their way smoothly. Your change control process doesn’t have to be complicated, all it needs is to include the steps that will be taken when a proposed change is introduced during the project’s delivery. The process needs to include the person/people responsible for reviewing and approving the changes as well as how approved changes will be incorporated into the project. Additional costs and resources required to implement any changes need to be accounted for as well. A great way to create and monitor such a process (and any kind of process) is by using a Kanban board. Kanban is a scheduling system that is part of Leanand Just-in-time (JIT) manufacturing. It is a highly visual method that depicts the workflow process and the work passing through it. Its visualization of the workflow makes it the perfect tool to use for your change control process. Using the Kanban view to create your change control process is your best bet. 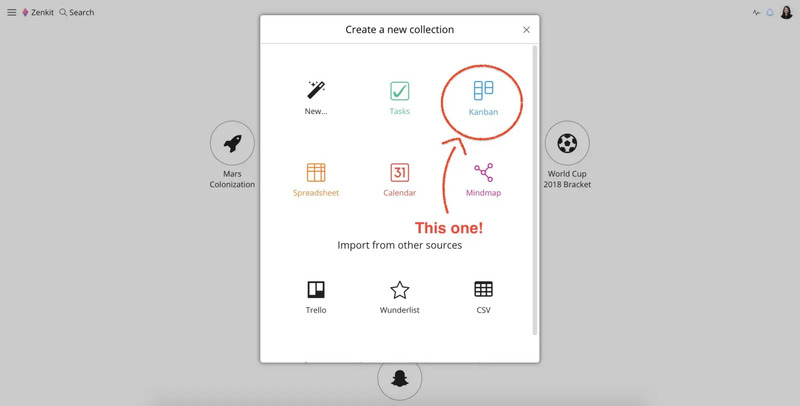 So when creating a new collection, select the Kanban view, enter the name of your collection, and hit ‘Create’. Every field in Zenkit is one of 11 different custom field types. What this means is that you are able to include all kinds of additional information, from extra dates to priority level to each proposed change. You also have the ability to sort and filter your data, as well as use special functions such as formulas and references if needs be. This feature allows you to incorporate additional information to each proposed idea. Things like who proposed the change, when it was proposed, and the reason for its rejection can be included. Don’t want to built it yourself? Download our handy change control process template. Move each proposed change along by dragging and dropping it into the correct stage of the process. Remember that whoever you share this collection with will see all the activity being made to the process. The beauty of Kanban is that it uses boards, cards, and swimlanes to paint a picture of the workflow process, and being the visual creatures that we are, makes it the ideal tool to document activity and keep track of how tasks are progressing. A lot can happen between the start and end of a project. Think about it, you have so many people involved in a venture that has specific requirements with cost and time constraints—you’d be foolish to overlook and not anticipate scope creep. Without a change control process in place, some people—be it the stakeholders, client, or project team—may find it their duty to take matters into their own hands, not realizing that their kind gesture is actually counterproductive and can have a severe effect on the entire project.